The United States National Oceanic and Atmospheric Administration or NOAA defines microplastics as any plastic fragments that are less than five millimeters in length. They are not a specific type of synthetic polymers. Rather, they are either a direct industrial product or a byproduct of materials made from polymers that enter and contaminate the environment. Researcher Alla Katsnelson mentioned that marine biologist Richard Thompson was one of the first scientists to raise concerns over microplastics. Her review further explained that these minuscule plastic fragments had been regarded as pollutants because they enter the food chain as various species ranging from zooplankton and marine creatures to land animals end of ingesting them unintentionally. In some cases, these fragments enter the guts of these species and further into tissues and cells. Understanding the sources of microplastics also involves understanding their two general classifications: primary microplastics and secondary microplastics. Primary microplastics are direct industrial products. They are plastic fragments or particles that are already five millimeters in size or less before entering the environment. On the other hand, secondary microplastics are byproducts of polymer-based materials. They emerge from the degradation of larger polymers or plastic materials that have entered the environment. 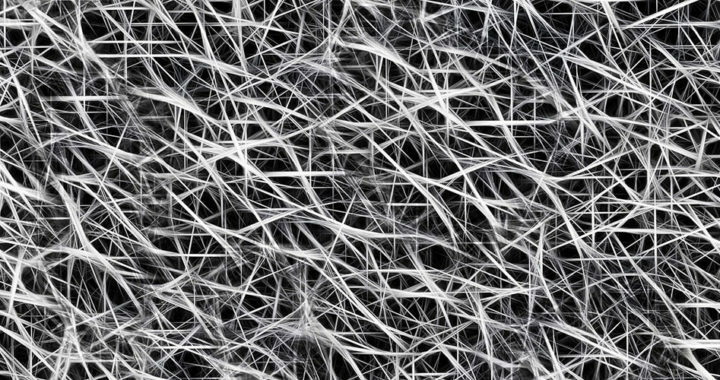 Different fabrics used for different types of clothing items are made of minuscule synthetic fibers called microfibers. Examples of these clothing items include dry fit sportswear and rash guards that are made of nylon or polyester, the heat-resistant synthetic fiber Kevlar used to make military-grade gears, and leather substitutes such as Ultrasuede. Manufacturers have also used microfibers in place of cotton and leather to produce a variety of products. These include microfiber towels or cloths used for cleaning vehicles and glass surfaces; thermal insulation materials used in sleeping bags and vehicle covers, water-resistant furniture coating; and bedroom items such as fleeces and bed covers. Both the improper disposal of these products and their wear and tear due to repeated use contribute to the accumulation of microplastics in the environment. The study by M. A. Browne et al. noted that experiments that sampled wastewater from domestic washing machines revealed that a single garment could produce greater than 1900 fibers per wash. This suggests that one of the primary sources of microplastics accumulating in natural bodies of water is household and commercial wastewater. Microbeads are solid plastic particles that are less than one millimeter in sizes. They are commonly made of polyethylene but can also be manufactured from other petrochemical plastics such as polypropylene and polystyrene. The common uses of these materials include personal care products and in biomedical and health science research. In the cosmetics industry, microbeads are used in exfoliating facial washes, soap scrubs, and toothpaste. In medical research, they are in microscopy techniques, fluid visualization, fluid flow analysis, and process troubleshooting. These minuscule fragments end up in wastewater immediately after use. Their small sizes prevent filters in wastewater treatment facilities from screening them. Hence, they enter rivers and oceans upon release of treated water. Several countries have banned the use of microbeads in personal care products. These include the United States, the United Kingdom, selected countries in the European Union, India, South Africa, Taiwan, Australia, and New Zealand, among others. A number of manufacturers have phased out the use of microbeads, but some companies still use these materials as main ingredients in their personal care products. Note that the microfibers from clothing items and microbeads from personal care products end up in wastewater. Some sewage treatment facilities do not have the capacity to filter these minuscule particles completely. This is especially true for facilities in developing and underdeveloped countries in which processes are not as sophisticated as those found in developed countries. There are facilities in developed countries with solid skimming and sludge settling processes that can remove a large portion of microplastics from wastewater. The study of Browne et al. that involved taking samples from sewage sludge disposal sites on the coasts of six continents revealed that there was an average one particle of microplastic per liter of sludge. However, sludge from sewage facilities is used as a constituent of soil fertilizers in some countries, thus exposing them to weather, sunlight, and other natural factors and leading further to the fragmentation of microplastics. The minuscule plastic fragments from this sludge-based soil fertilizers eventually end up in storm drains and bodies of water. Wear and tear from vehicle tires and footwear are also one of the sources of microplastics in the environment. A study in Denmark spearheaded by its Environmental Protection Agency revealed that secondary microplastics from products or items such as tires and footwear are more important than primary plastics by two orders of magnitude. Another study by Peter Jan Kole et al. revealed that the estimated per capita emission of microplastics from tires ranges from 0.23 to 4.7 kilogram per year with a global average of 0.81 kilograms per year. Microplastics from car tires are considerably higher than those coming from airplane tires, artificial turf, brake wear, and road markings. The researchers concluded further that the relative contribution plastic pollution in oceans from the wear and tear of tires was between 5 to 10 percent. Aside from polluting the oceans, the same study concluded that these wear and tear of tires contributed to 3 to 7 percent of the particulate matter in the air, thus indicating a possible cause of the global health burden due to air pollution. The production of end-use plastics involves the use of granules and small resin pellets as the raw materials. Plastic production facilities can contribute to the release of microplastics in the environment through accidental spillage during land and sea transport, inappropriate use of packing materials, and direct outflow from processing plants. A review study by Mathew Cole et al. mentioned a research revealing microplastic concentrations of 150 to 2400 particles per cubic meter in a harbor adjacent to a plastic production facility. Commercial and recreational fishing, as well as the activities involving fishing vessels and the entire fishing industries, have contributed to the unwarranted disposal of plastic materials in different bodies of water. Through long-term degradation, these plastics would become sources of secondary microplastics. Examples of these materials include fishing gears, plastic monofilament line, and nylon netting, among others. The shipping industry has also been a primary marine pollutant. The review of J. G. B. Derraik revealed that studies during the early 1990s showed that shipping had contributed to 6.5 million tons of plastics in the ocean. Remember that these plastics would eventually degrade into smaller fragments, thus becoming sources of secondary microplastics. Arthur, C., Baker, J., and Bamford, H. eds. 2008. Proceedings of the International Research Workshop on the Occurrence, Effects, and Fate of Microplastic Marine Debris. MD: National Oceanic and Atmospheric Administration.